Back in 2009, she was found by Brantley Harrison at just four weeks old, injured and tiny. Brantley and her family took her in, tended to her and eventually released Bella into the wild – not expecting to see her again. But eight years later, Bella still comes to visit her adopted family. Especially if snacks are on offer. When Brantley found her the first time, Bella had been viciously attacked by an owl who left her for dead. Brantley took her in and raised her alongside three other squirrels called Larry, Curly and Moe. She stayed with the Harrison family until spring 2010, after being fed a hearty diet of fruit, nuts and formula. Eventually, she was ready to run around the forest. But she never strayed too far from her home and drops in to visit whenever she has a spare moment. ‘She started to come back for a treat or two within days of being released,’ Brantley tells The Dodo. And that’s not even the most incredible bit. 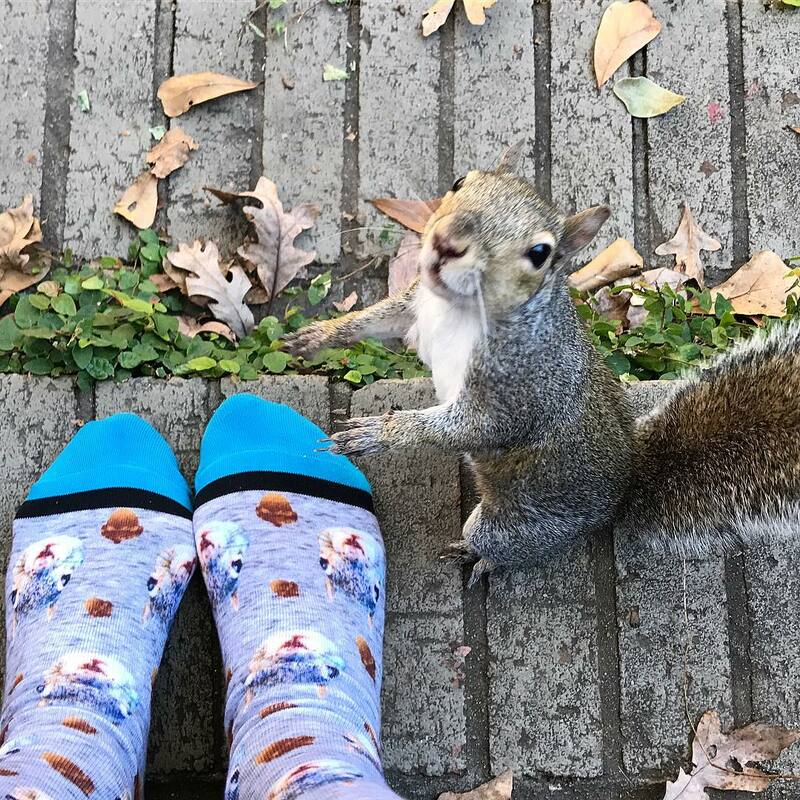 A while ago, Bella managed to find her way back to the Harrisons with an injured foot…and a belly full of squirrel babies. ‘It was truly amazing to watch the baby I raised raise her own babies,’ says Brantley. Bella gave birth to three tiny babies. And the Harrison family cared for them all until the little squirrels were strong enough to go and romp about outside.